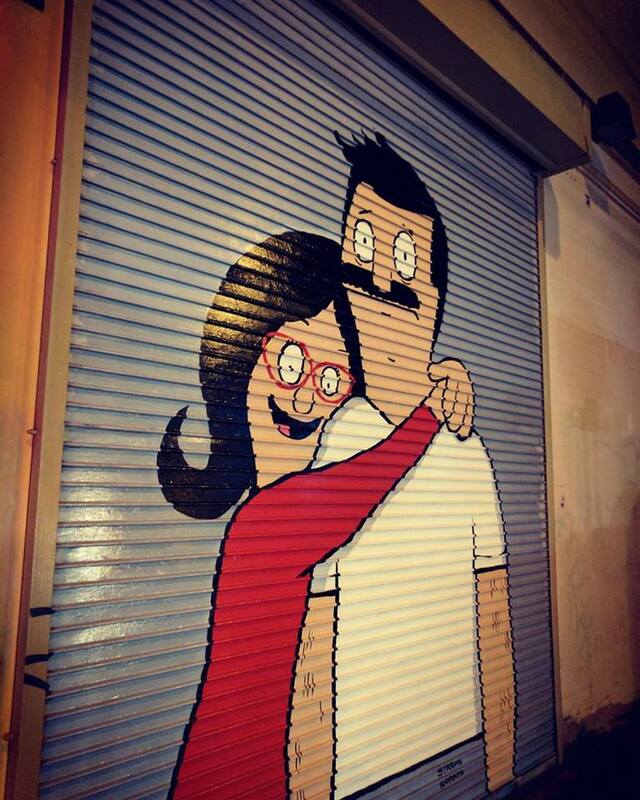 Bob’s Burgers, 20th Century Fox. 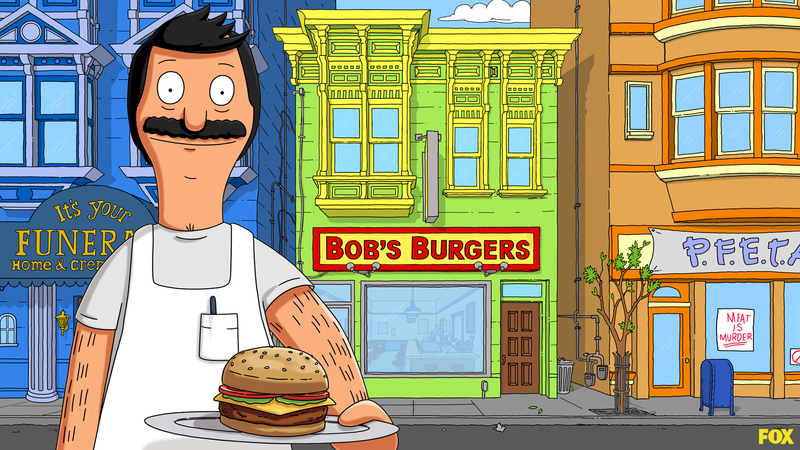 Did you know that the animated series Bob’s Burgers was created in the Mission? 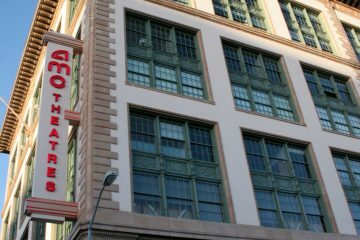 And that it’s central diner and aesthetic were based on buildings in the Mission neighborhood? 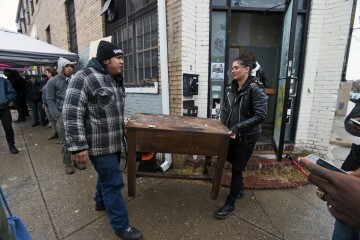 Local artist Sirron Norris was the show’s lead illustrator, and the show’s creator Loren Bouchard lived on 20th street. The house Bouchard used to live in on 20th st. is the model for the Belcher’s diner in Bob’s Burgers. 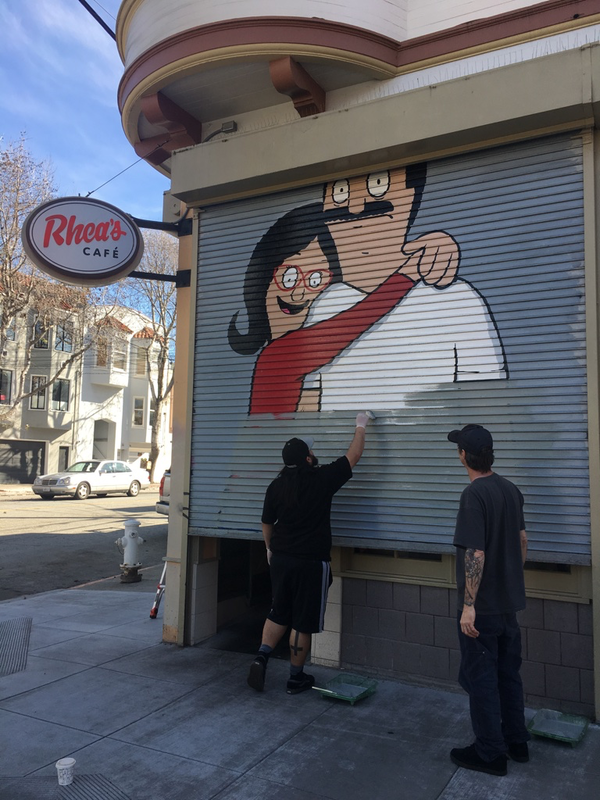 The Bob’s Burger mural by show animator Sirron Norris painted on Rheas Deli on 20th and Bryant was the ideal location to pay homage to the show’s birth, but the landlord forced Rhea’s to paint over it yesterday. I asked the guys painting “WHAT ARE YOU DOING?”. “Painting over it…” they said. Turns out all three painters were doing so very reluctantly. They explained that they were very disappointed to be painting over it. The owner of Rhea’s explained to me that THE OWNER OF THE BUILDING (heartlessly) demanded that the paintings, by Sirron Norris, be painted over. Not only did the shows creator live on our street, it’s also across from another one of Sirron’s lovely murals. I absolutely loved this corner, this awesome reminder of the local connection to the show, and it gave Rhea’s so much character. What a total disgrace. I wish the building owner could know how unhappy the neighborhood is about this. Or at least, I know I am. The owner of Rhea’s told me they were considering doing some mural work inside as a replacement, though in my opinion nothing compares to the joy of discovering art on the street. What a disappointment. It’s unclear why the landlord forced the removal of such an appropriate piece of art and animation history. Maybe 20th Century Fox complained? 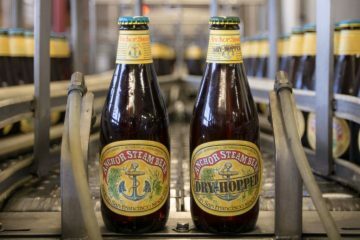 Maybe the landlord is just a robot, sanitizing his ‘investment’. 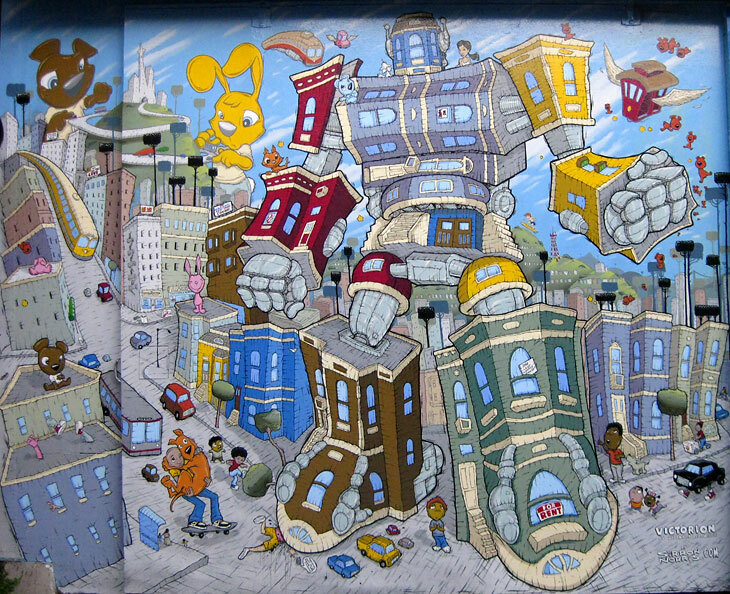 In any case, checkout more of Sirron’s work at sirronnorris.com, or go see his murals in the flesh using the SF Mural Art’s site. 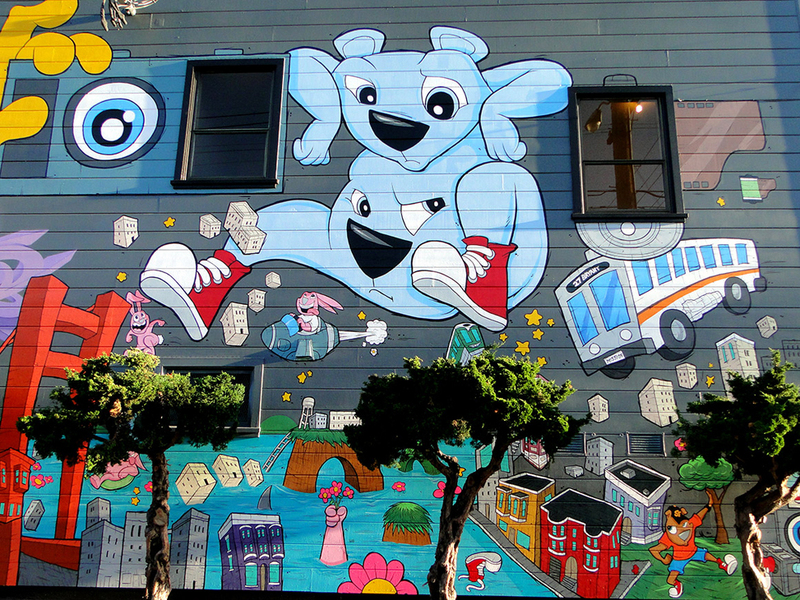 They’ve cataloged most of SF’s street murals by artist and location, Check them out at www.sfmuralarts.com/mural, they even have an App for the iPhone that hooks you up with locations of dope street art on the go. Who knows when an evil landlord will come to sanitize more Mission art, better get out there and see it now. We wanna send you and a friend to see Chicano Batman!